Many members and partners/spouses gathered for a celebration hosted by Len and Olive Trevor on Sunday 6th May. After a guided tour of the wonderful garden, Len shared some history not in the Golden Anniversary Magazine. Len and Olive started with the society about 45 years ago, and Len remembers being told broms must be grown in earthenware pots no more that 4 inches big! That was until Peter Cooper promoted the subversive notion that broms grew better in plastic pots, 10 inches or bigger! Len tried to imagine how Bromeliad business would look like in the next 50 years, and ventured that vehicular transport would be radically different. The Trevor tribe is now 40 strong, the latest addition just two weeks old. Bekky Trevor introduced three of her young sisters who helped with the party. 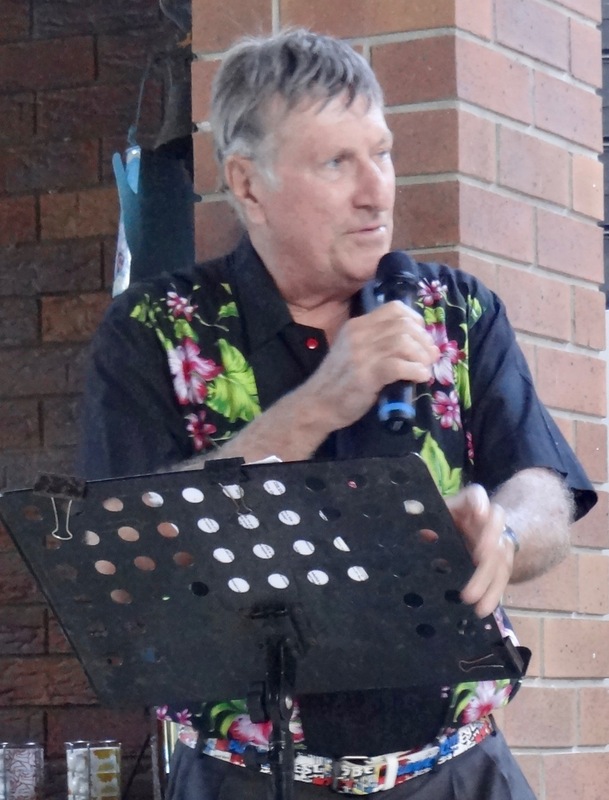 Dr James Lergessener entertained us with an amusing address full of nostalgic memories of 50 years ago in Brisbane. Then lunch was enjoyed. Len Trevor during his address. Dr James entertains us with fond memories. was exhibited by Barry Kable. 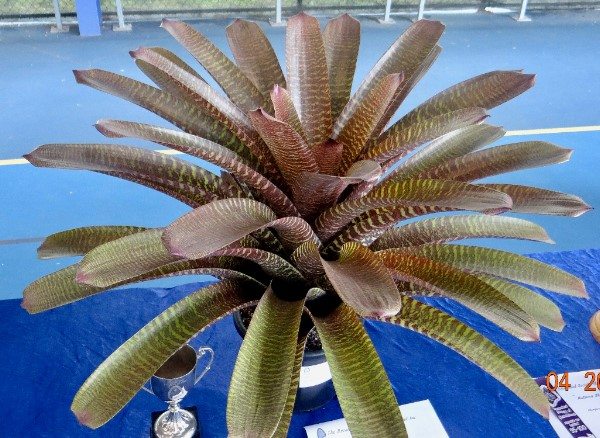 It is called the cabbage-head bromeliad from the habit of the inner leaves folding into a cabbage-like head. 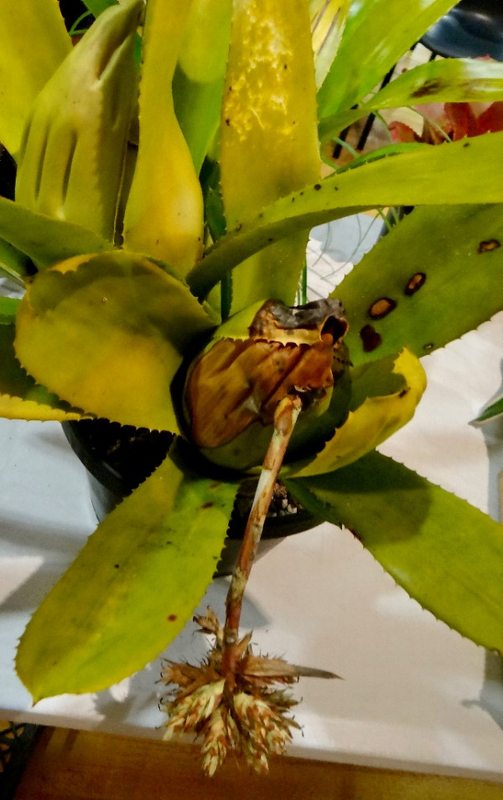 The flower spike has to penetrate this head of leaves before it flowers. It can be found on the trees that make up the small "bush islands" over the savanna. Location: Kaieteur National Park, Guiana Shield Guyana South America. Aechmea brassicoides closeup of penetrating spike. Guest Speaker was Peter Tristram on Hybridising Neoregelias. 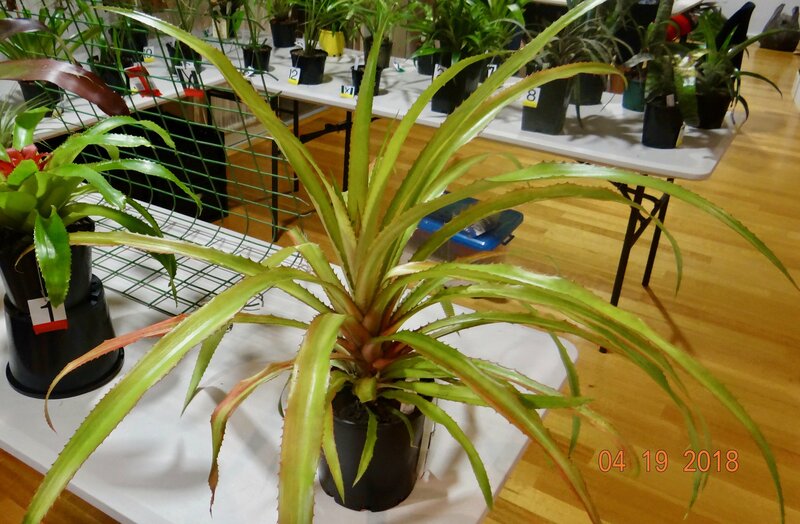 Peter is a Commercial Grower and Breeder Of Bromeliads from Reston, near Coffs Harbour. 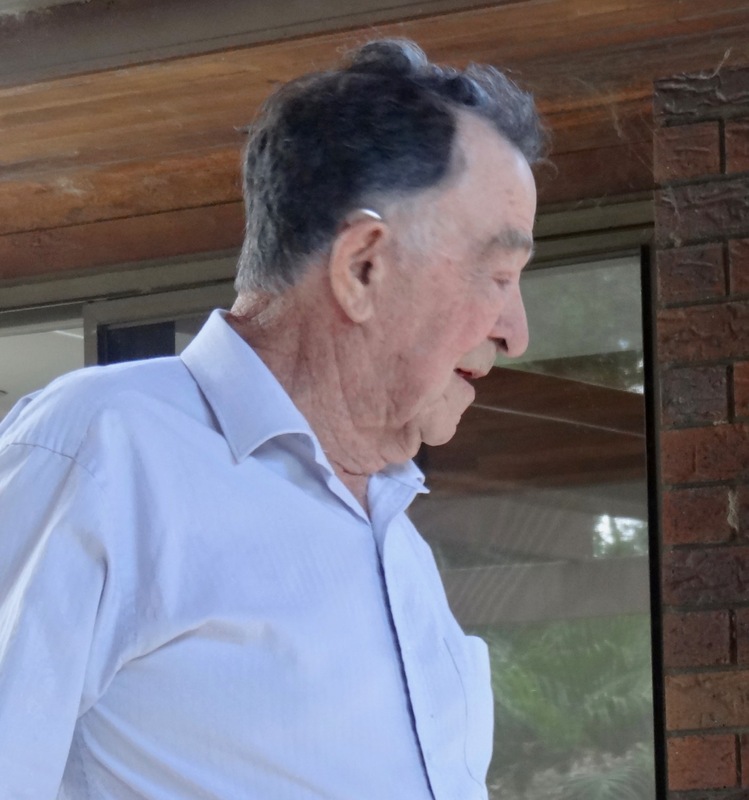 He first collected Neoregelias in 1977 when teaching at Mount Druitt, west of Sydney. Peter later moved to near Coffs Harbour and established his Forrest Drive Nursery. 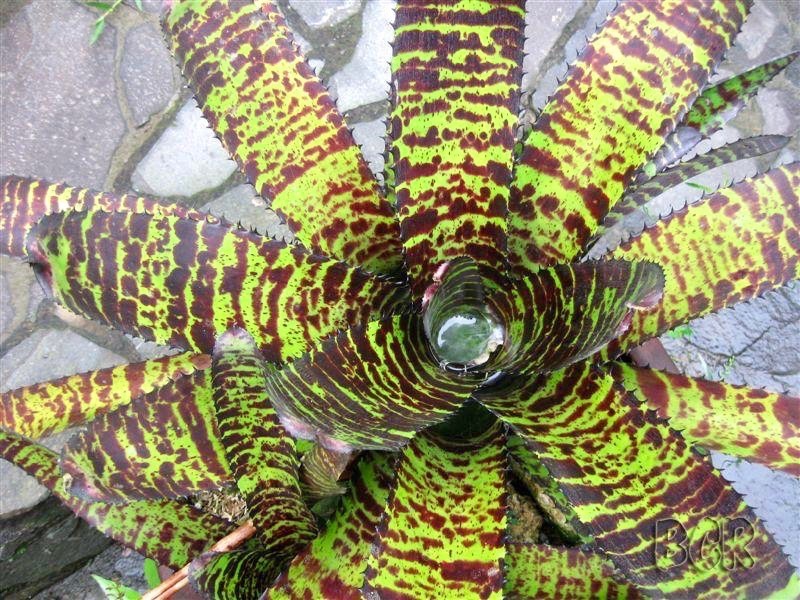 He has collected bromeliads on excursions to Central America, Peru, Colombia and Brazil. Peter touched on some history of bromeliads in Australia. About 1979-80, pioneers included Allan Ladd at Newcastle and Bob Larkin made hybrids, as was Chester Skotak in Costa Rica. Peter started about this time, and the fashion was for small compact plants. The limited number of Neos included carolinae, princeps and concentrica, and marmorata. Peter described the basic anatomy of the Neoregelia to locate the ovary and sepals with pollen to explain fertilisation. Most flowers are self-sterile, so the hybridiser needs two different clones to cross-fertilize. Pollen is not ripe till after dawn. (the genus of the white pointer shark) with its prominent spines, and bigger size. Skotak also experimented with this species. Peter imported the first carcharadons, although they was wrongly named Hohenbergia. They were called ‘Great White', ‘Macho’, and gigas, and came from Corcovado Mountain, near Rio de Janeiro. Their true genus was revealed when the plants flowered. Carcharadons have a long stigma and are easy to pollinate. Neo 'Freddie Krueger' is a Skotak hybrid showing the large size, and prominent spines of carcharadon. It has ('Hannibal Lector' x 'Norman Bates') x ('Skotak's Tiger' x 'Hannibal Lector'). Big size (in contrast the smaller compact plants in 1979). He has planted 50,000 seeds! and mentions he has no more room! He finds the more crosses that go into a specimen, the greater the seed production. 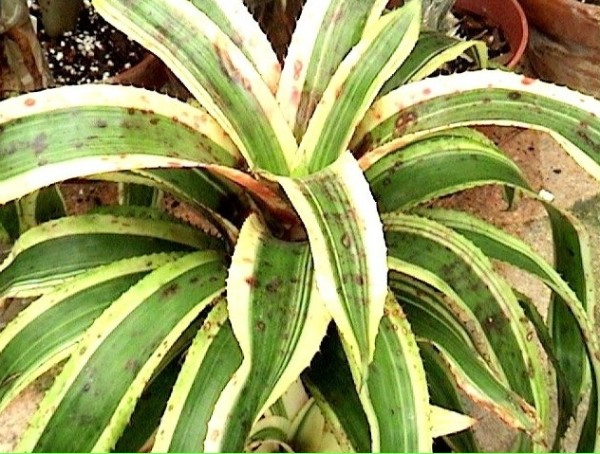 Variegation is highly desirable in all bromeliads, and 99% of variegated Neoregelias get it from the original variegated carolinae. The so-called variegated ‘Tiger’ is not a sport of tiger, but has variegated carolinae in its heritage. Neo 'Mum's Delightful Treasure' was created by Peter Tristram, and shows albomargination. 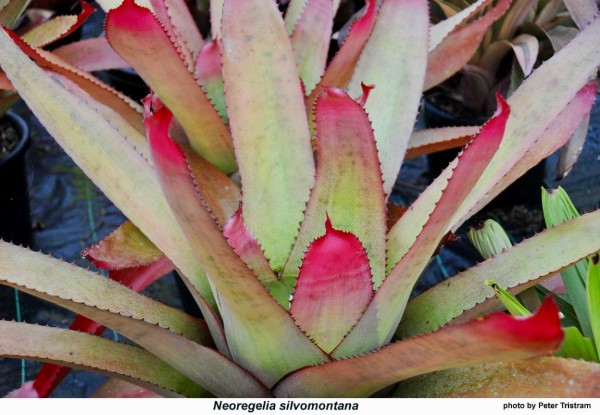 When Peter crossed Neo silvomontana with Neo ‘Eva’, he got 13 different plants, demonstrating that hybridising with hybrids often fails to produce stable phenotypes (appearance). Neo silvomontana is the biggest Neo in Australia, and exists in two clones. 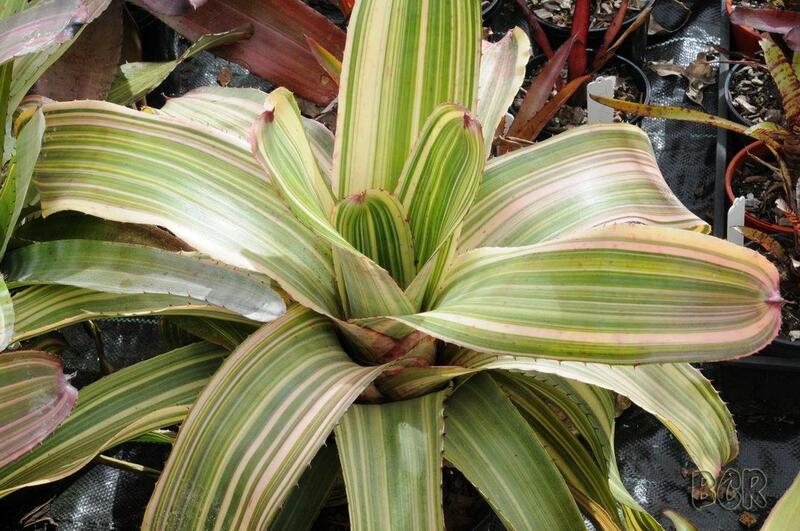 Neo silvomontana has desirable red leaf tips which have been transmitted via hybridising. Neo 'Shark Noodles' is another impressive hybrid made by Peter (with Chester Skotak) and has (carolinae x 'Silver') x 'Silver' (which is a carcharadon). Neo ‘Shark Noodle’ x acanthocrata. Neo ‘Black Opal’ was a Skotak hybrid registered by P Tristram. Neo 'Sharkula' was created by Peter Tristram 2005, in association with Chester Skotak, and has (carolinae x Silver) x Silver. 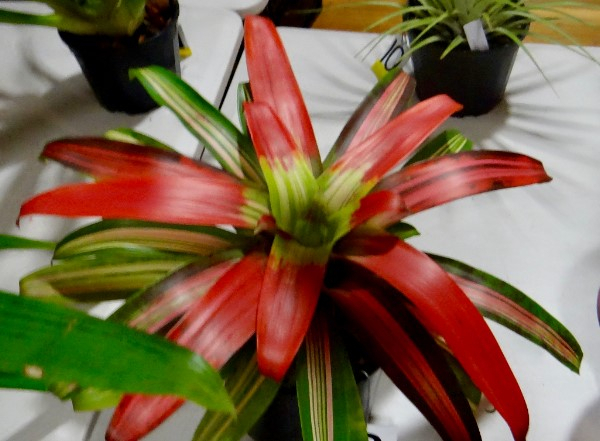 Many thanks Peter for a stimulating talk about the process whereby we get our new and beautiful bromeliads. A species class will be added to the monthly competitions. Members requested a return of Field Days. For this to happen, a Field Day Convenor is required. Please contact publicity@bromsqueensland.com.au if you are interested. The committee would like to hear of recommendations for Guest Speakers. Information Sessions will be monthly at the request of members. Please inform the committee of topics of interest. 1st Quesnelia ‘Tim Plowman’ by Gilda Trudu. 2nd Ursulaea tuitensis by Alfonso Trudu. 3rd. Quesnelia marmorata by Alfonso Trudu. 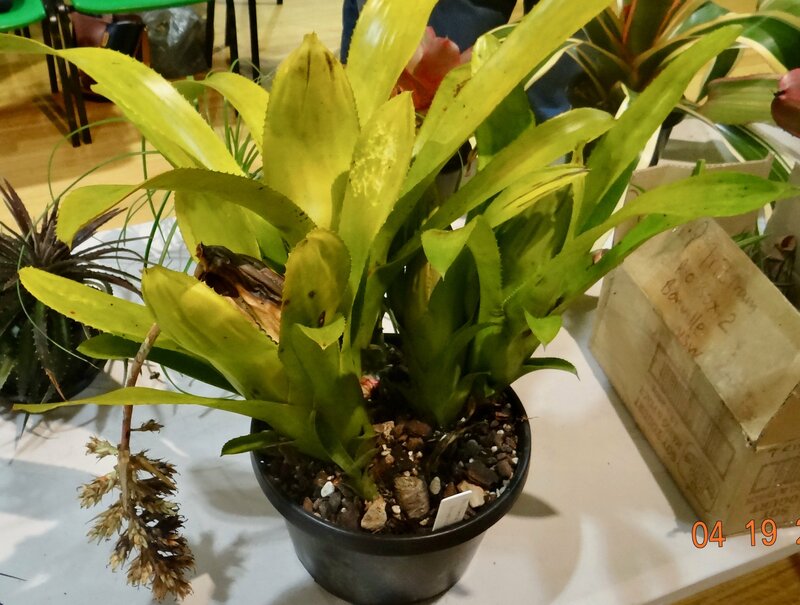 1st Guzmania ‘Hilda’ by Alfonso Trudu. 2nd Tillandsia dura by Alfonso Trudu. 3rd Guzmania ‘Lill’ by Alfonso Trudu. 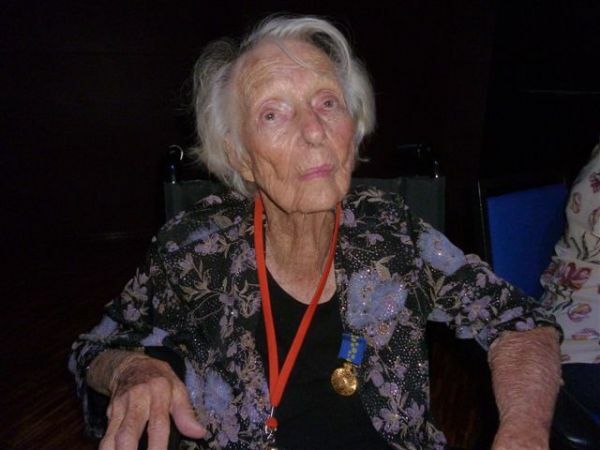 1st Pitcairnia smithiorum by Gilda Trudu. 2nd Pitcairnia smithiorum by Gilda Trudu. 3rd Pitcairnia smithiorum by Gilda Trudu. 1st Till compressor by Alfonso Trudu. 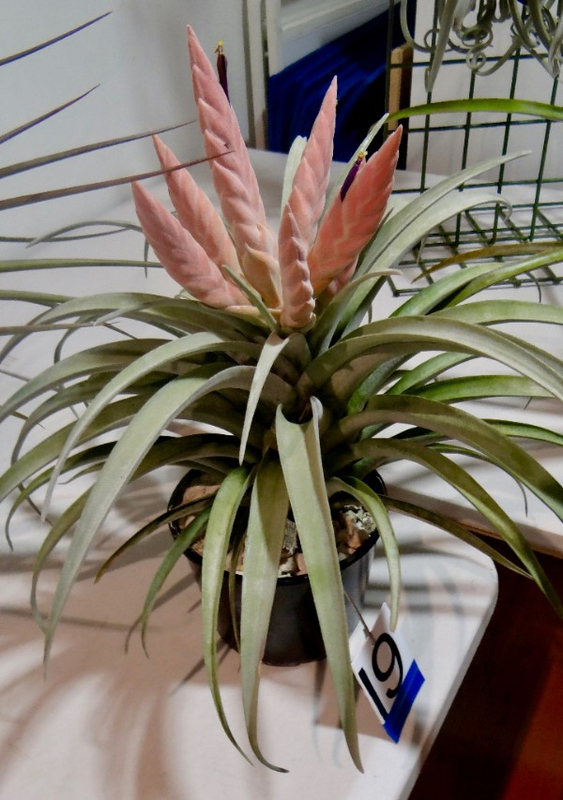 2nd Tillandsia capitata by Gilda Trudu. 3rd Tillandsia shiedeana by Gilda Trudu. 1st Nidularium fulgens by Maxim Wilson. 2nd Ananas ‘Spanish Red’ by Sharon Born. 3rd Portea alatisepala by Maxim Wilson. 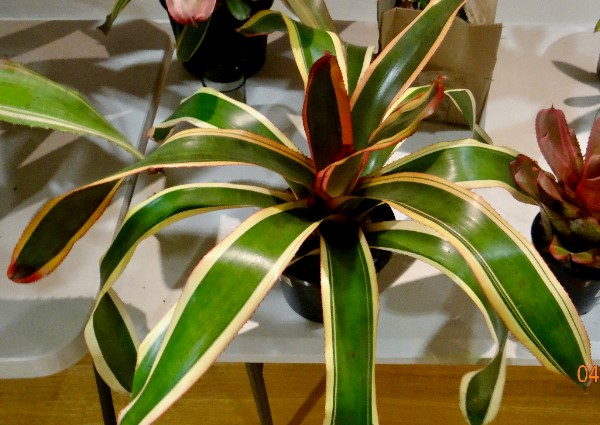 1st Guzmania ‘Tricolor’ by Maxim Wilson. 2nd Guzmania hybrid by Maxim Wilson. 1st Tillandsia ‘Silver Trinket’ by Pam Butler. 2nd Tillandsia crocata Orange by Pam Butler. 3rd Tillandsia ‘Tilly Delight’ (xiphioides x stricta) by Pam Butler. 2nd Acanthostachys strobilacea by Barbara McCune. 3rd Orthophytum glabrum by Barbara McCune. 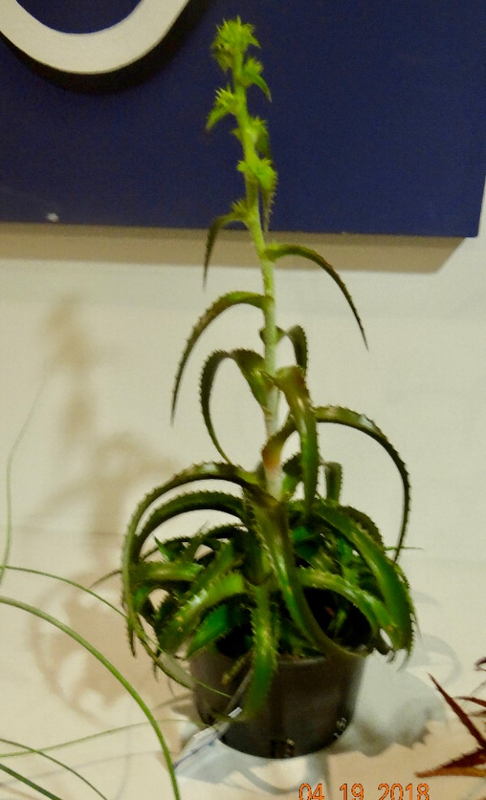 1st Tillandsia duratii var saxitilis by Bruce Dunstan. 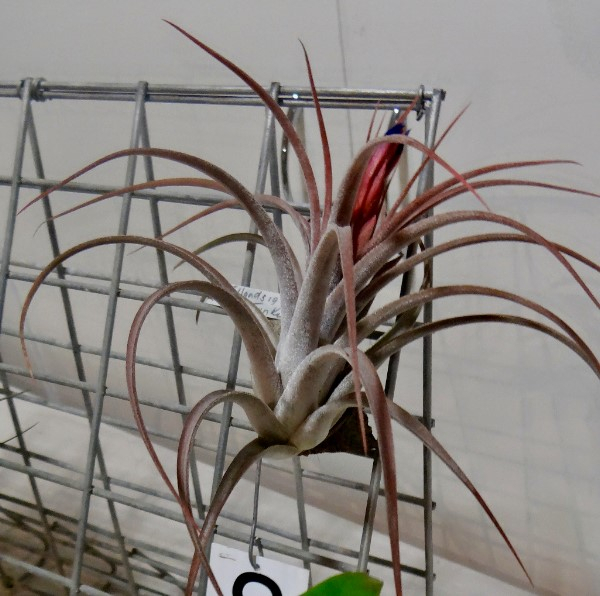 2nd Tillandsia ‘Queens Delight’ by Bruce Dunstan. 3rd Tillandsia ‘Silver Trinket’ by Ron Jell. 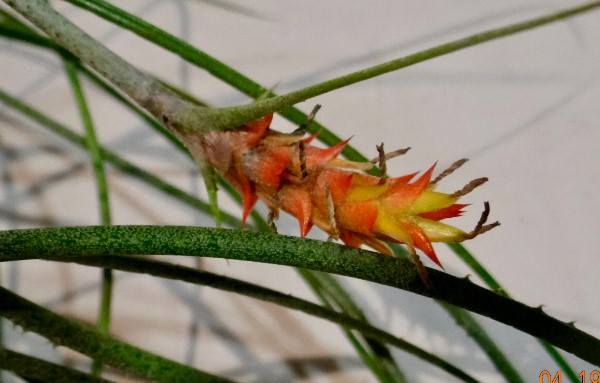 Tillandsia duratii var saxitilis from Bruce Dunstan. Tillandsia 'Queen's Delight' from Bruce Dunstan. It has carlsoniae x chiapensis by Pam Koide Hyatt. Tillandsia 'Silver Trinket' from Ron Jell. Orthophytum 'Copper Penny' from Barbara McCune. The bract of Acanthostachys strobilacea. 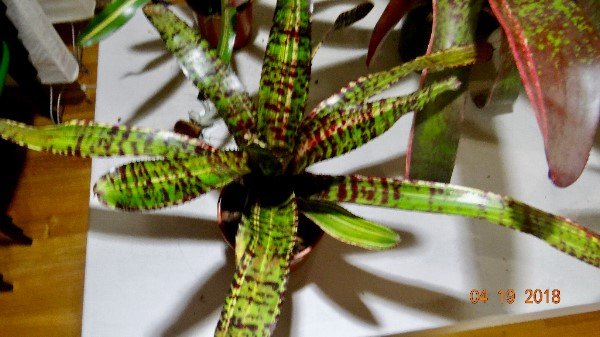 Guzmania 'Tricolor' (no longer sanguínea variegata). Ananas 'Spanish Red' from Sharon Born. 1482 Old Cleveland Road, Belmont. 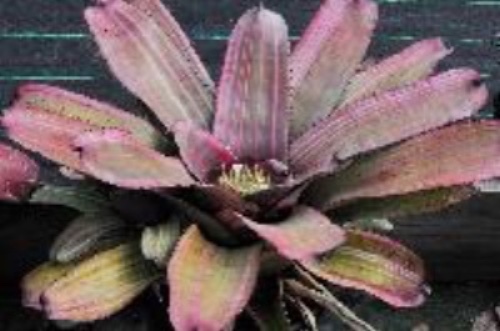 GoldenBroms - The Australasian Bromeliad Conference will be held at the Gold Coast 17-20 October, 2019. 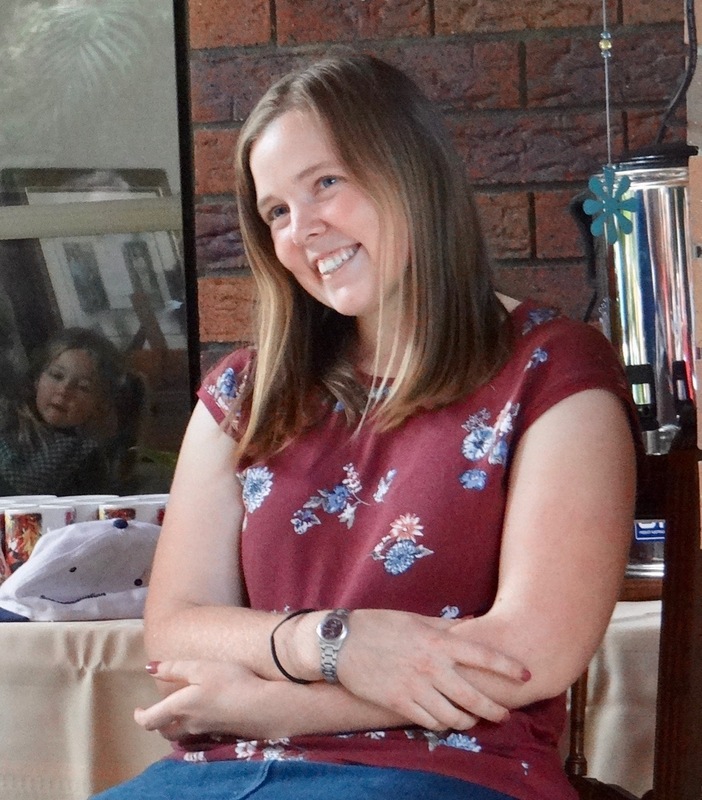 Grace Goode had a fall in march and broke her arm and jaw. 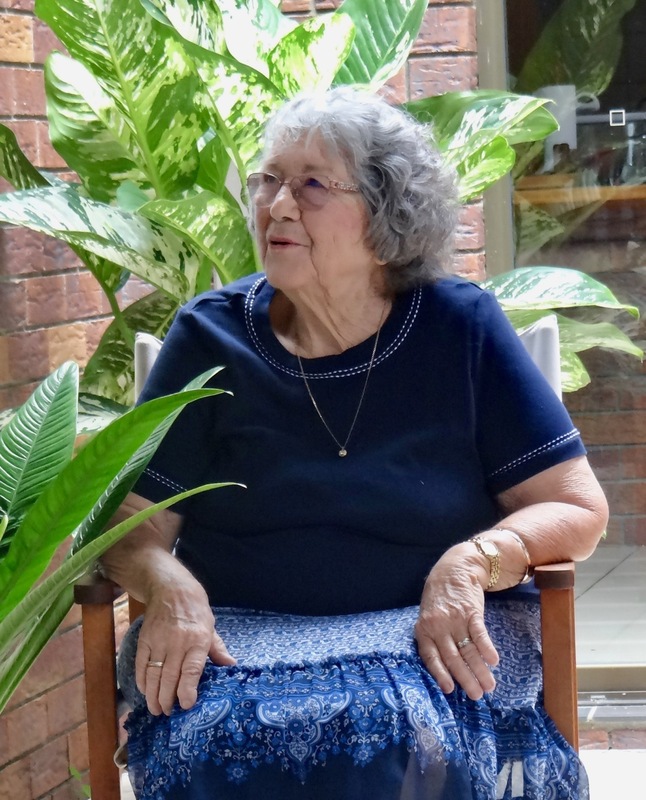 She was admitted to respite care in Twin Waters. We wish her well. See the schedule below. Plants must be entered by 7pm. If you are running late, call Fred on 0419 716 236. Q&A with Tom Isaac, Barry Kable and John Olsen. Anything goes. 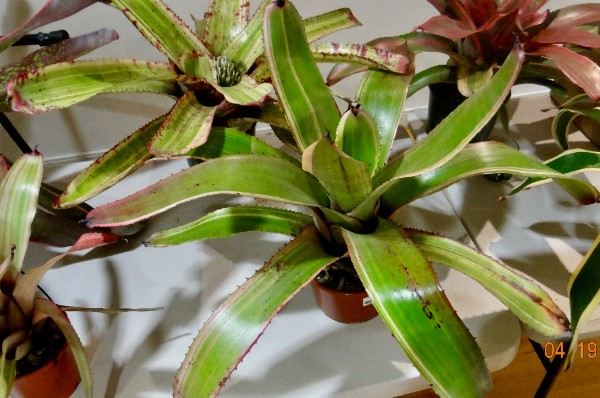 Steven Flood on Tropical Foliage Plants that Complement Bromeliads. John Olsen on Plant Offsets. Vrieseas with Mal & Michelle Cameron. Copyright © 2018 The Bromeliad Society of Queensland Inc, All rights reserved.